In this tutorial we will discuss Lacquers, and more specifically how to spray finish furniture using a spray gun. To achieve a truly professional looking finish, the use of spray equipment is helpful. This tutorial will minimize your learning curve and save you time while improving your overall results. 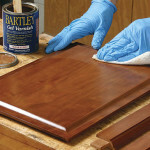 Nitrocellulose lacquer is the simplest finish to spray. 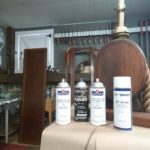 It's normally always ready to spray right out of the can without thinning and has long been the first choice for furniture refinishers, cabinet makers and woodworkers when spray finishing furniture. It's forgiving nature and easy application also makes it a great choice for beginners and hobbyists. We've included the Amazon link to the Fuji HVLP system above for you. 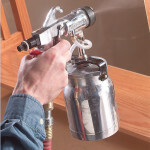 A good choice when getting into spraying lacquer is an HVLP system. The low over spray is really beneficial if you spray in a garage, basement, or anyplace where you may have limited exhaust and airflow, or other potentially hazardous conditions. This video is brought to you by The Woodworkers Guild of America. 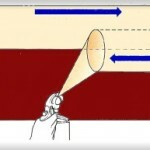 If you have an interest in woodworking, visit their website at WWW.wwgoa.com and look into their membership. Solvent Based Lacquers. What's The Difference? The scope and range of modern finishes is wide and varied, so let's focus on the most time tested, popular and simple finish to apply....solvent based lacquer. Standard Nitrocellulose lacquer (avail. 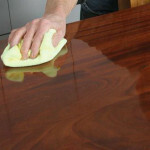 here on Amazon) is a fairly forgiving and simple finish to apply when spray finishing with lacquer. Standard Nitrocellulose lacquer does not contain a catalyst. 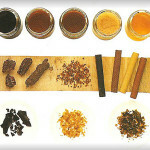 That gives it a longer shelf life which can be an important consideration if you only use lacquer on rare occasions. You'll find many brands on the market. Some brands can be sprayed or brushed. 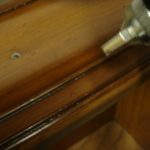 One important caveat I have learned when using standard solvent based lacquer. It has a very high susceptibility to blushing (see "blushing" below). 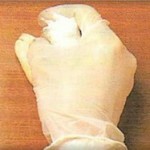 So much so that without having retarder thinner on hand it can be unusable in most climates when humidity is above 65%. Pre catalyzed lacquer (avail. 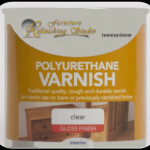 here on Amazon) offers far more protection, is easy to spray, can be self sealing and is also far less susceptible to blushing, making it the most popular solvent based finish choice among furniture finishers. 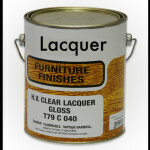 This type of lacquer has now become the industry standard and most finishers "go to" finish. One draw back to Pre Cat is that it has a shelf life that is normally around 6 months, but tends to be usable up to 9 months and "maybe" even a year (though it's not recommended). It's typically sold in one and five gallon sizes (no quarts usually), so there could be waste if you don't use it all. For many, it's an acceptable trade off knowing the finish will be far more durable and moisture resistant. Post catalyzed lacquers and Conversion Varnish (avail. 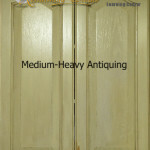 here on Amazon) is at the top of the food chain when it comes to wood finish durability. They tend to be a very high build, high solids wood coating with superior color retention and moisture protection. The trade off is that for the beginner to intermediate finisher they are a lot more difficult to work with. They require a separate catalyst, and must be properly catalyzed by the user upon use. If you forget to add the catalyst, the product will never harden. Post Catalyzed (meaning its catalyzed "post" purchase by the user) Lacquer and Conversion Varnish both have a short pot life once catalyzed. Most woods will need to be sealed before finishing. Surface preparation is very important. If the wood was previously finished, removal of the existing finish is sometimes necessary. Proper sanding should be completed and if you are staining the wood, Stains must be allowed to dry completely before sealing. 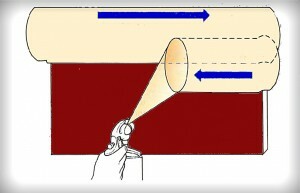 Refer to our stripping, sanding and staining sections for more "how to" tutorials. For sealing, you can use either self sealing Pre Catalyzed lacquer, lacquer sealer, vinyl sealer or shellac sealer (Amazon links provided) When using shellac sealer, it's important that the shellac dries for 24 hours before applying any lacquer over it. Nitrocellulose lacquer is the simplest to spray. It's normally always ready to spray right out of the can without thinning. Pre Catalyzed lacquer has become very popular for it's advanced durability. Some Pre cat is also self sealing, eliminating the need for a separate sealer. If thinning is needed, lacquer thinner is what's used. When I use Pre Cat as a self sealing system, I often thin the pre cat lacquer by about 33% for the first few light coats. 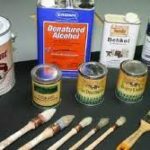 Doing this allows the solvent (lacquer Thinner) to evaporate quickly and thus the finish dries much more quickly, minimizing the risks of reaction to contaminates that are often times present when refinishing. Thinning is not necessary when finishing new wood. After sealing is completed and allowed to dry, scuff sand lightly using 320 silicone carbide sandpaper. 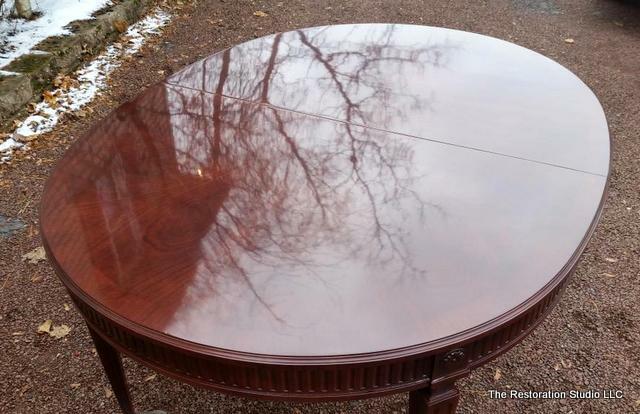 After scuffing the surface, spray your first coat of lacquer, applying a very light coat at first. This light coat will dry quickly, allowing you to follow up with a couple more light coats every half hour to an hour. 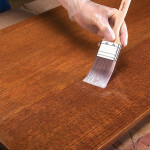 After 3 or 4 light coats have been sprayed on, you can lightly sand with a scotch brite pad or 320 sandpaper, being careful not to cut through the finishes on the edges. You should now be ready to apply a wet coat, being careful not to spray any areas to heavily as to create runs. Runs do happen, as I can attest to even after 30+ years of spraying finishes. When you get a run in the finish, it's best to leave it go until the finish dries. Then, scrape the run carefully with the flat edge of a razor blade, slowly shaving down the run. Lightly scuff & respray as needed. When we are spray finishing with lacquer (especially solvent based lacquer), it's mandatory for our health that we wear a respirator. This will ensure we are not breathing in harmful chemicals and doing harm to our health. I've been finishing lacquer for 30 years and I'm still healthy and I'd like to think at least part of that is my diligent use of a respirator. There are two basic types I'd suggest. The most popular is the half face piece style mask. This is the respirator most of us use and Here is the brand I've been using for years, available through Amazon for a lot cheaper than I can get it at the local big box stores. The other style is a full face respirator (link provided here for Amazon) is popular among people who wear contact lenses and want to protect not only their lungs, but their eyes. Blushing occurs when moisture in the air becomes trapped in the finish, causing a white foggy haze. To avoid blushing, avoid humidity over 65% when spraying. I find spraying very early in the morning is the best time of the day to avoid blushing in high humidity conditions. 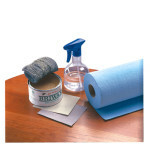 The other option is to add lacquer retarder to you lacquer to slow down the drying process. Blush Eliminator is a product you can purchase through Mohawk or Behlen that eliminates blush that has occurred in your finish. It comes in an aerosol (link to the correct product from amazon is provided HERE ). I wouldn't suggest ever spraying nitrocellulose lacquer without having a can on hand ! When you notice your finish has blushed (a whitish haze) DON'T SPRAY AGAIN with lacquer until the blush is removed! If you do, you will lock in the blush and it can no longer be removed. To remove blushing, just lightly spray the surface with the no blush Aerosol, or out of a spray gun with this lacquer retarder thinner mixed at a 50% ratio with regular lacquer thinner. It's never a bad idea to have both on hand, as they never go bad. This video is presented by WoodCraft. Visit them online or at your local Woodcraft retail store location. Adjust the needle to alter the flow of the material out of the gun. Turn the lower needle knob in and less spray will come out of the gun. Crank it out and more fluid will be sprayed. Test to find the spray that best works for you. For what it's worth, I always crank mine all the way out. The upper knob is the fan adjustment. Turned in the spray pattern will be tight. Cranked out the spray fan will be very wide. Again ,practice to find what works best for you. When you are spraying, there will always be some overspray. There will be much less if you use an HVLP system or spray gun. Most will be sucked out by the exhaust system (if spraying indoors), but some material is bound to land upon areas already finished. A constant flow of material is vital and you must always keep moving the gun. Always spray with the trigger full on. 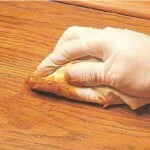 On a table, spray the legs first, apron second, and finish with the top. You must move at a steady, but fast pace on a table, and focus very hard on watching your spray pattern making sure you overlap the last pass by 50%. When spraying a chair, start with the legs first. Spray the inside of the legs, than the outside. Spray the rails in the same manner. Next, spray the outside back, then the inside back. Lastly, spray the seat. 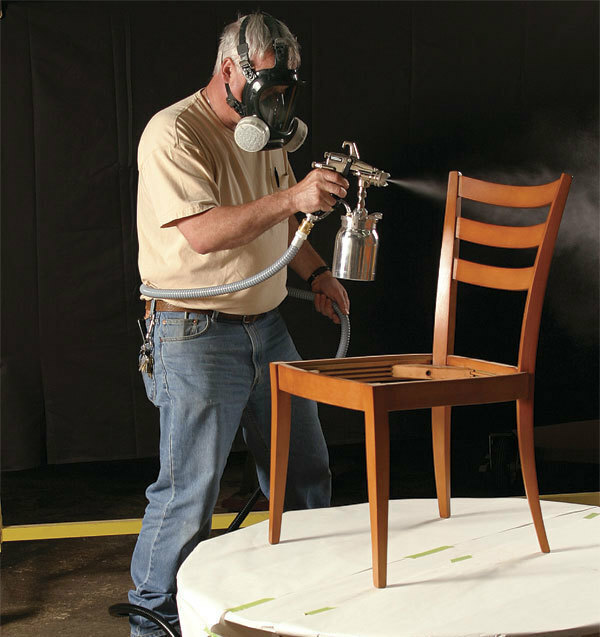 Since lacquer dries so fast, it's important to move fast spraying a chair, or you will be left with overspray to deal with, and some rough surfaces. One thing to watch with chairs. There are always surfaces that tend to get passed with the spray twice. These "intersections" areas an increased risk of developing runs, so that is something to be aware of.